George Lopez's multi-faceted career encompasses television, film, standup comedy, and late-night television. Lopez is currently on his standup comedy tour, The Comedy Get Down, with Eddie Griffin, D.L. Hughley, and Cedric the Entertainer in arenas across the country. The comedians recently debuted their BET scripted comedy series based on their tour. Lopez was last seen in Cinedigm's thriller River Runs Red with Taye Diggs, John Cusack and Luke Hemsworth which was released on November 9, 2018. Written and directed by Wes Miller, the film tells the story of a respected judge who switches his gavel for a gun and seeks revenge after two policemen murder his only son in cold blood. Lopez recently wrapped shooting the upcoming crime thriller The Tax Collector with Shia LaBeouf and Lana Parrilla. David Ayer wrote the screenplay and directed the film. He is also set to star in Walking With Herb opposite Edward James Olmos and Mary McDonnell. The faith-based film is inspired by Joe S. Bullock's novel of the same name. For two seasons Lopez hosted Lopez Tonight, a late-night television talk show on TBS. This represented Lopez's return to series television after co-creating, writing, producing, and starring in Warner Bros. Television's groundbreaking hit sitcom George Lopez, which ran for six seasons on ABC. 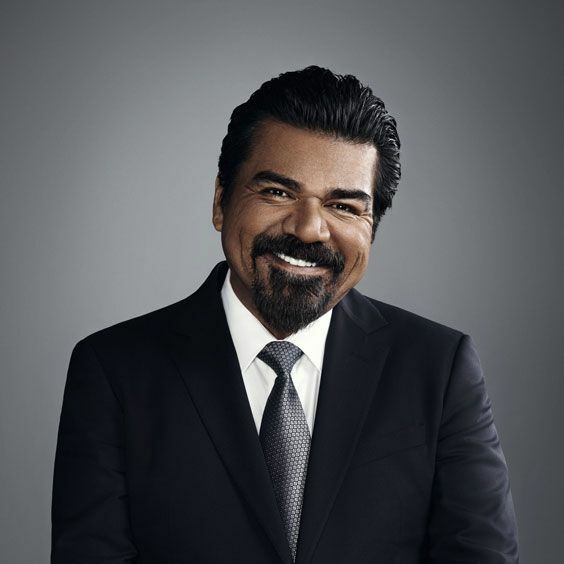 George Lopez remains a hit with viewers in syndication on both broadcast stations and cable's Nick at Nite, ranking as one of the top-rated shows on the network and among the top five comedies and top 20 weekly programs in syndication. Lopez debuted his third solo stand-up special It's Not Me, It's You in 2012 on HBO. Lopez also voiced animated characters in a string of animated blockbuster films including Zook in Gnome Alone, Rafael in Rio and Rio 2 along with Jamie Foxx, Anne Hathaway and Jesse Eisenberg, Thurman in Escape from Planet Earth opposite Jane Lynch and Sofia Vergara, Grouchy Smurf in The Smurfs 1 and 2, and The Beverly Hills Chihuahua 1, 2, and 3. His most recent film credits include the box-office hit Valentine's Day directed by Garry Marshall, Swing Vote, Henry Poole Is Here and Balls of Fury. Lopez has been featured in three HBO specials, The Wall in August 2017, GRAMMY nominated Best Comedy Album Tall, Dark and Chicano in 2009, and America's Mexican in 2007. Lopez also performed as part of HBO and TBS's Comic Relief 2006. His acclaimed comedy concert, Why You Crying?, debuted on Showtime in 2004. He released his third standup CD, El Mas Chingon, in 2006, which also earned Lopez a GRAMMY nomination in the category of Best Comedy Album. In 2004, he was nominated for a GRAMMY in the same category for his CD Team Leader. In May 2004, Lopez's autobiography, Why You Crying?, entered The New York Times Bestsellers List top 20. The book was co-written by Emmy winning writer and sportscaster Armen Keteyian. Lopez released his second memoir, I'm Not Gonna Lie And Other Lies You Tell When You Turn 50, in 2013 where he tells the unabashed and hilarious truth about aging – as only he can. Lopez was also the focus of the award-winning documentary Brown is the New Green: George Lopez and the American Dream.